If you have a puppy or another small pet, you know exactly how irresistable they are when it comes to spoiling. Keep on spoiling them before they grow up! This puppy treat jar is the perfect way to store a few treats for your favorite little friend. 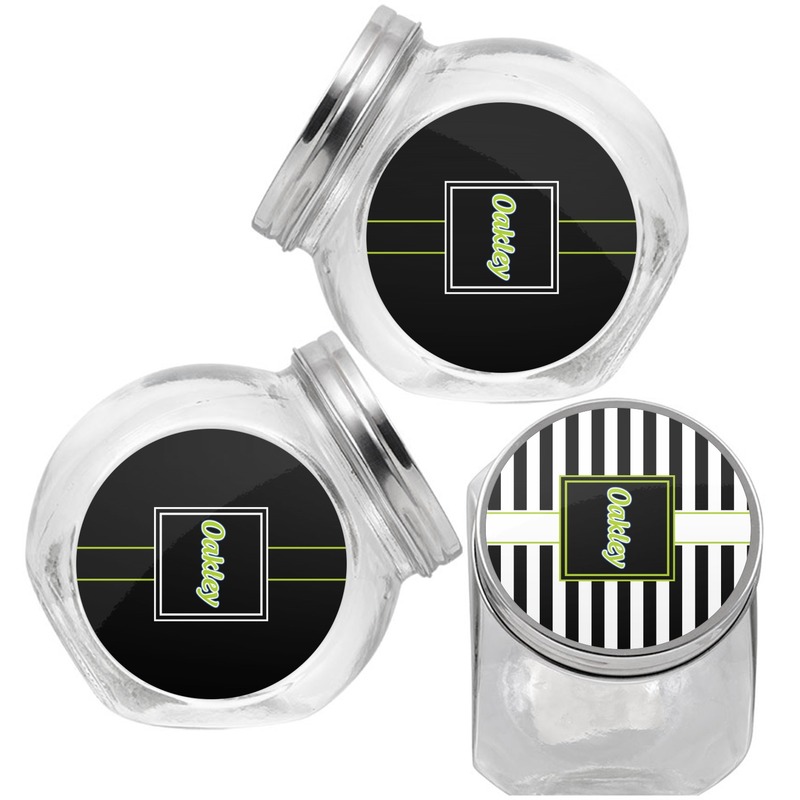 These jars are the perfect amount of class to store on your countertop or shelf. They are made of clear glass with a metal screw-on lid. Each one measures at approximately 3.375in x 4.75in x 5in. They have 3 sticker labels that are located on both sides of the jar, as well as the lid. When cleaning your treat jar, be sure NOT to soak in water. Simply rinse it or wipe it down with a wet cloth. Go into our design center to get started creating the perfect design. Choose something fun from our thousands of backgrounds. 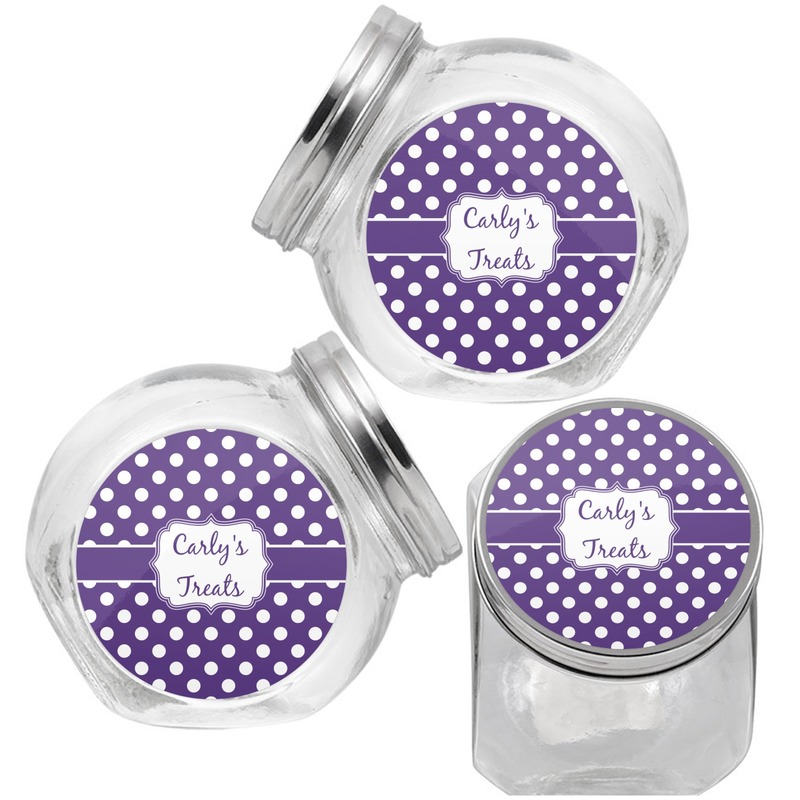 Personalize the jar with your pet's name or something simple like "Fido's Treats." Have fun designing and don't hesitate to ask for help with our design center! Spoil your pet just a little bit more as you go through our pet accessories. Get them a flashy pet tag or a bandana! Let them know how much you love them. Ordered this on Sunday night and received it Thursday!! It is super cute and I just love it! This is my new favorite website! Will be ordering more from y’all!